It was Tom's idea. 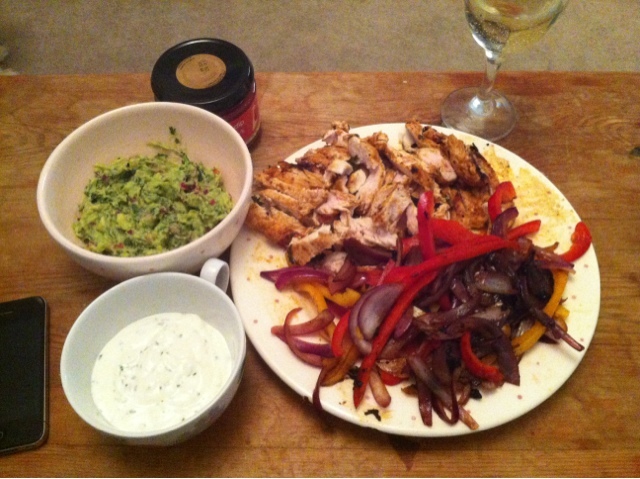 Please, Ali, will you go to Sainsbury's for a fajita kit. I got slightly carried away and thought "No….! I can do that my self, thank you very much". I read a couple of recipes and taking pointers from them decided to just shove what I felt like in there. 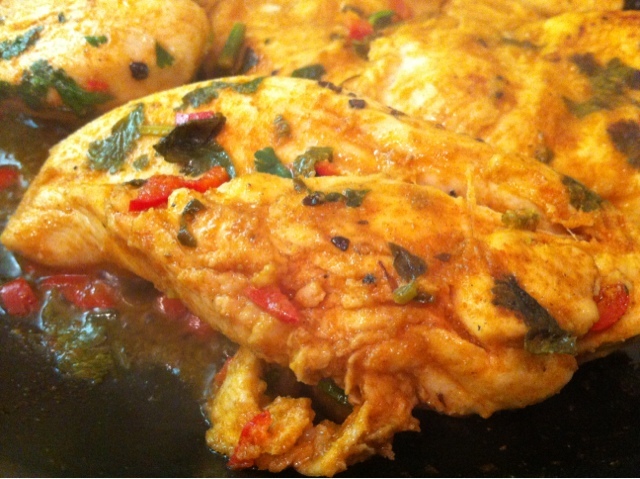 Put your chicken breasts in and give it a bit of a mix. Then leave it for an hour at room temperature to marinade. Whilst that's going on, make the guacamole. Oh my goodness I love guac!! Love, lOvE, LOvE guac. 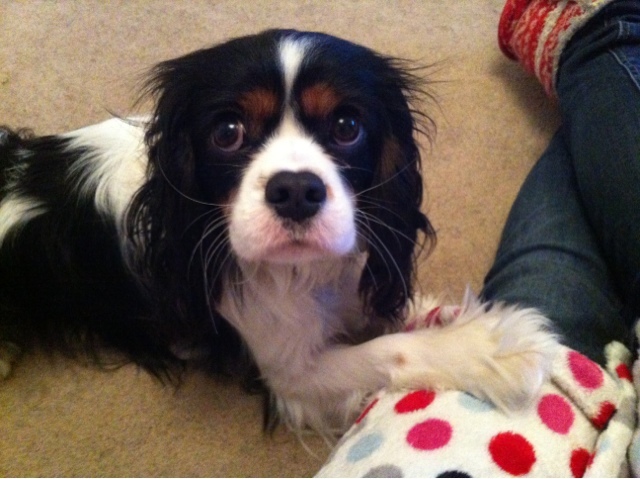 No Howard….you may not have one, no matter how much you look at me with those puppy dog eyes. OMG I am salivating!!!! 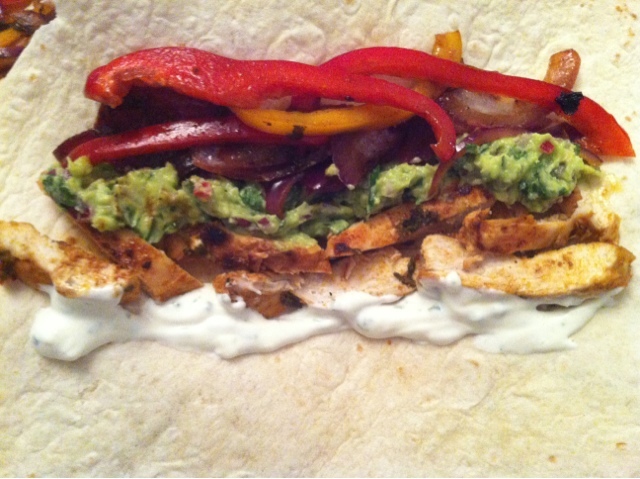 Fajitas are one of my all time favourites meals and yours look so delicious!!! Bless Howard with those beautiful eyes! 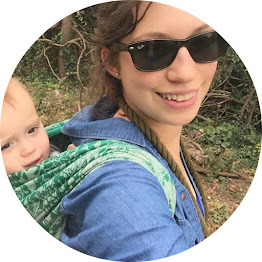 Great recipe and thanks for sharing!! Howard has the same look our Corgi has when food is prepared! 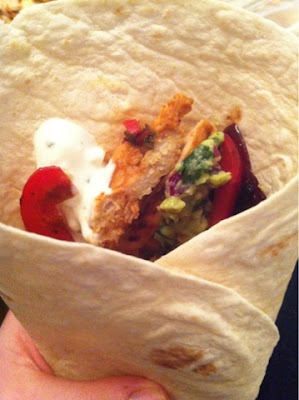 I was already hungry when I looked at you blog but now I'm starving! I assume mine is in the mail? 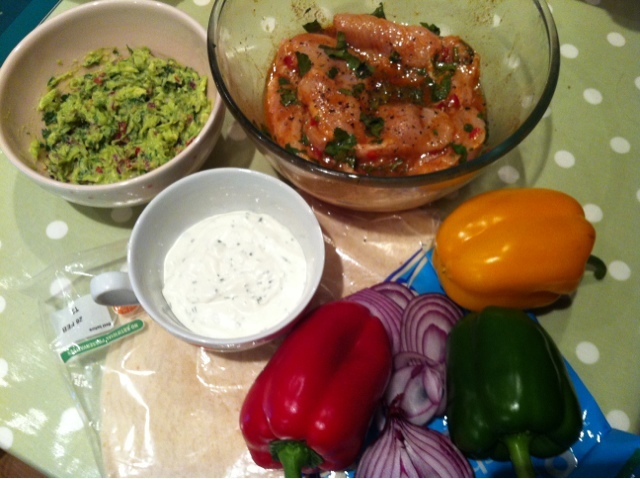 We're fajitas lovers here too, so will be trying your recipe soon.